If we’ve connected on Twitter or Facebook you know this isn’t the only place where I review books. Of all the books I reviewed anywhere this year, these are the dozen that brought me the most pleasure. 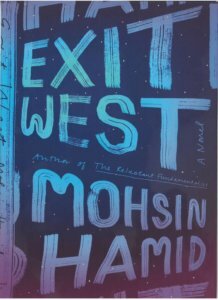 Focused on a pair of young lovers fleeing civil war in their homeland, Mohsin Hamid’s Exit West is a moving exposition both of the plight of refugees and of the intense gravitational pull of family and home. And while it feels as contemporary as the latest news headline from a shore where a boatload of desperate refugees have landed, there’s a timeless quality to it that provides the stamp of enduring beauty. 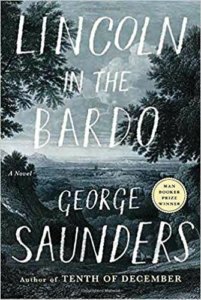 Many admirers of George Saunders’ inimitable short collections like Tenth of December probably despaired over this supremely talented, empathetic writer ever producing a novel. But with the publication of Lincoln in the Bardo, winner of the Man Booker Prize, the wait ended. The result is a supernatural story of loss and grief, focused on the death of Abraham Lincoln’s eleven-year-old son, Willie, in 1862, that’s extraordinary in both substance and style. The six stories in Paul Yoon’s second collection are almost shocking in their simplicity. Possessing a fable-like sensibility, each is a quietly elegant examination of how survivors of various sorts carry on in the face of deep loss. 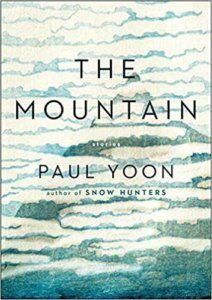 Yoon’s strikingly uninflected prose heightens both the tension and the resonance of these tales, enhancing the book’s acuity of insight. Individually and collectively these stories comprise an exquisite and memorable work of art. 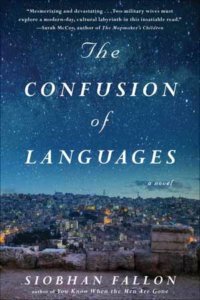 In her perceptive and engrossing first novel, Siobhan Fallon focuses on the lives of two American women, married to soldiers stationed in Jordan as the Arab Spring roils the Middle East in 2011. It’s a carefully-crafted story of unbridgeable distances in the lives of both people and cultures, one that’s infused with a deep sense of realism Fallon brings to it from her own life as a military spouse. 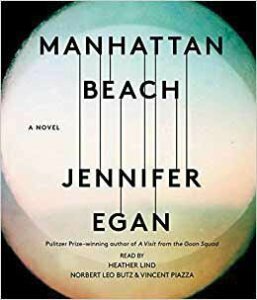 Jennifer Egan’s Manhattan Beach marks an abrupt departure from her 2011 Pulitzer Prize-winning novel, A Visit from the Goon Squad. But even with this turn away from an artistic high wire act that illuminated some of the dark corners of American popular culture to a story about the machinations of the New York mob amid the United States’s effort to defeat Nazi Germany, Egan again creates a sophisticated, satisfying blend of artfully drawn characters and skillfully plotted drama. 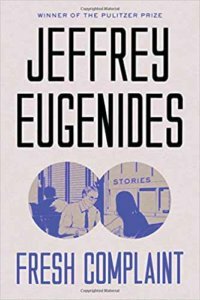 With a Pulitzer Prize to his credit, Jeffrey Eugenides’ literary credentials are impeccable. It comes as good news, then, that he’s finally delivered a collection of career-spanning short stories about characters whose lives are marked by a longing for something more, feelings that lead them into behavior that’s foolish at best and self-destructive at worst. Taken together, the ten vibrant stories that comprise Fresh Complaint are unified in the consistent insight and enjoyment they offer. 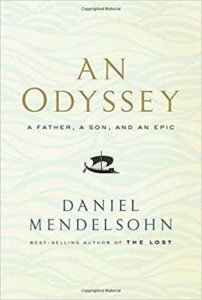 In the winter of 2011, retired mathematician and college professor Jay Mendelsohn enrolled in Classics 125: The Odyssey of Homer, an undergraduate seminar taught by his son Daniel at Bard College. In this insightful, tender book, the younger Mendelsohn gracefully marries literary criticism and memoir to describe how that class launched an intellectual and personal journey that becomes one of profound discovery for both men. 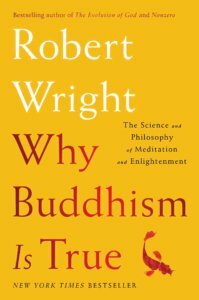 Despite its title, Robert Wright’s fascinating book is not in any sense a polemic for the superiority of the Buddhist spiritual worldview over that of other faiths. Instead, it’s a well-informed and thoughtful seeker’s methodical and sometimes skeptical investigation of key aspects of Buddhist thought and practice–specifically meditation and mindfulness–and the value of those practices when examined in the light cast by the insights of modern psychology and neuroscience. 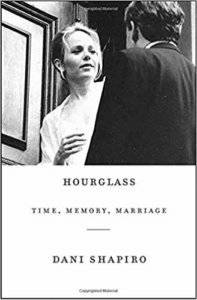 Hourglass lacks any of the three “As”—adultery, addiction or abuse—that draw many readers to the memoir genre. Instead, it’s an episodic account of Dani Shapiro’s marriage to fellow writer Michael Maren, as seen from the vantage point of nearly eighteen years. From there, the book circles back to the couple’s French honeymoon in June 1997, to create a rewarding portrait of the often mysterious bonds that hold people together. 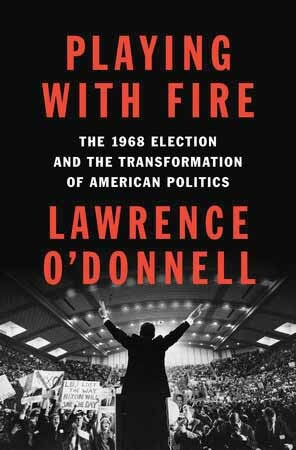 MSNBC host Lawrence O’Donnell’s Playing With Fire is a masterpiece of popular political history, compressing the blizzard of events of 1968, including war, assassinations and a hard-fought political campaign, into a fast-paced narrative delivered with the graceful touch of a novelist. 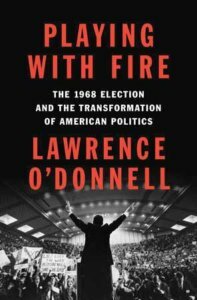 O’Donnell’s a savvy political observer who’s able to step back from pure reportage to offer perspective on chaotic developments that even now, to those old enough to recall them, still seem, in many ways, incomprehensible. Novelist Martha Cooley describes experience of profound loss in this collection of lyrical personal essays. 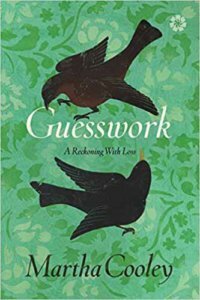 The book’s sixteen shimmering pieces pay homage to a group of Cooley’s recently departed friends, while affirming, with a poet’s sensibility, life’s fragile beauty as she encountered it in a sabbatical year she and her husband spent in a tiny town in north central Italy. 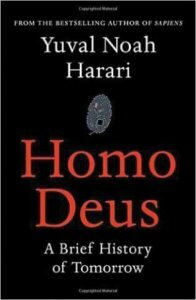 Following on the buzz from his 2015 bestseller Sapiens, Yuval Noah Harari’s unsettling Homo Deus identifies the “new human agenda as consisting really of only one project (with many branches): attaining divinity,” as he argues that a new faith he calls Dataism will gradually supersede the prevailing worldview of liberal humanism.